This December 5th is the 80th anniversary of the the Repeal of Prohibition. Jeffrey Morgenthaler has made the very excellent point that Repeal Day should be a day to celebrate and drink. Here at Booze Nerds HQ we couldn’t agree more. 😀 So we decided to come up with a couple cocktails for celebrating our constitutional right to drink liquor. We wanted to come up with one drink that used gin as the ubiquitous spirit associated with prohibition, but combined it with commonly smuggled spirits – canadian whisky in the north and rum in the south. Looking back to old style cocktails, many used a base spirit combined with vermouth, bitters, and maybe a hint of liqueur (like a Perfect Martini, or a Robert Burns), and we took that as our jumping off point. 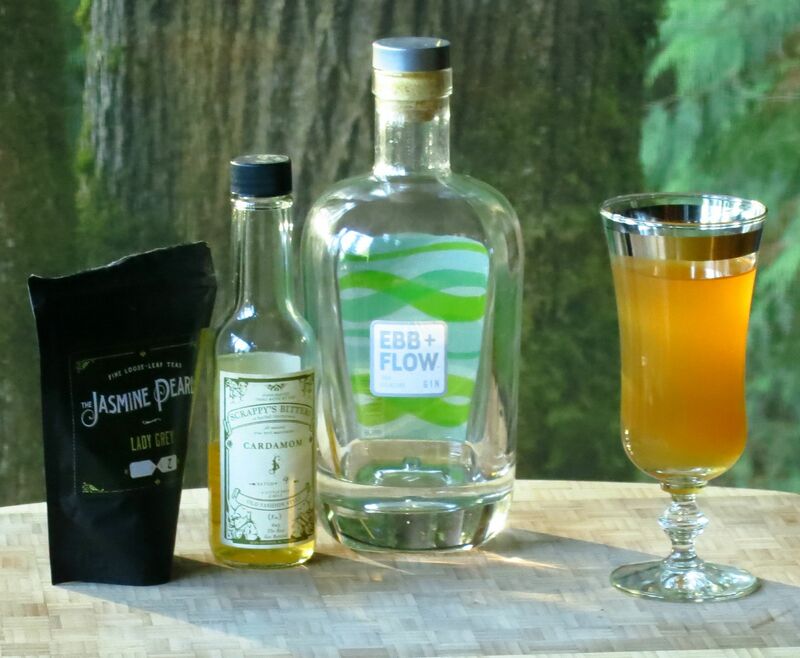 We decided to make the whisky the focal point, then used the gin as more of an herbal underpinning along with the sweet vermouth and bitters to add spice, depth, and complexity. Finally we added the rum as a float to add some sweetness and bite to the undertaking. Stir first 6 ingredients with ice. Strain into a glass. Garnish with brandied cherries. Add rum float. Nose: Orange, cola, caramel and vanilla notes, cloves. Palate: Orange to open, then whisky, cola, sweet spice. Strong bitter-sweet mid-palate, with aromatic notes of gin and vermouth coming through, especially thyme and juniper. Shaun also gets strong bitter orange on the mid-palate. Faint olive notes from the whiskey at the end of the mid-palate. Oxidized red wine notes from the vermouth, barrel sweetness from the rum and then black pepper spice on the finish. For our second cocktail, Shaun wanted to riff on the idea of speakeasies serving booze in tea cups. Naturally a good place to start was with tea and from there it became a toddy. We chose a tea with strong lemon notes, as we felt that would pair nicely with a citrus forward gin. That combination turned out well, so we added some honey to sweeten it up and some cardamom bitters to add some complexity. Add all ingredients to a tea cup. Stir till honey dissolves. Garnish with a lemon twist. Nose: Bright lemon. Honey and cardamom. Hint of juniper. Palate: Lemon, honey and a hint of cardamom, then juniper and bitter citrus oil from the twist and the bergamot oil in the tea. Delicious sweet black tea finish. 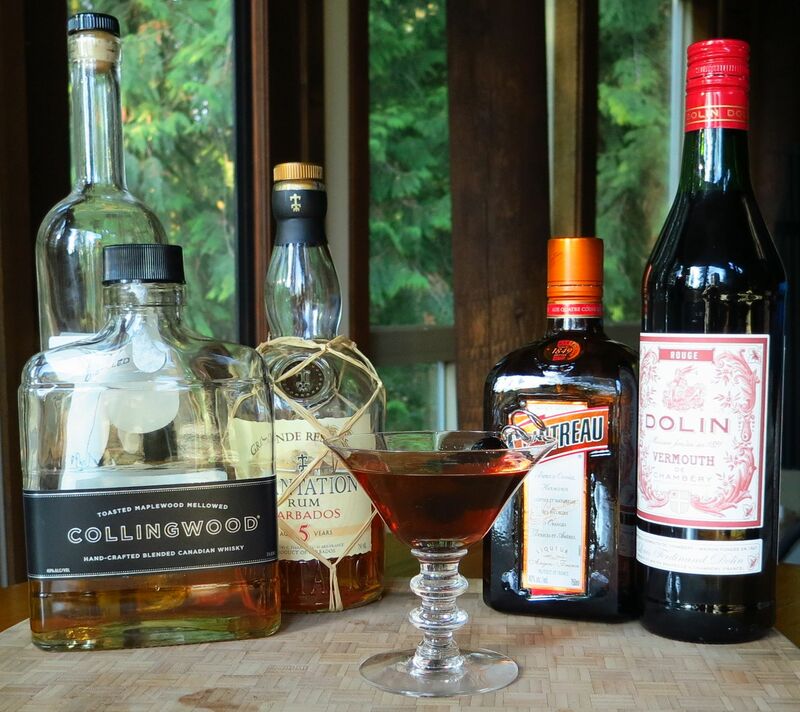 This entry was posted in aged rum, canadian whiskey, cocktail recipe, Cointreau, gin, Original Cocktail and tagged collingwood whiskey, dolin rouge, hell's acre cocktail recipe, plantation barbados rum, repealday, scrappy's cardamom bitters, sound spirits ebb + flow gin, spy hop gin. Bookmark the permalink. Nice I always mean to use more tea, I just never get around to it.